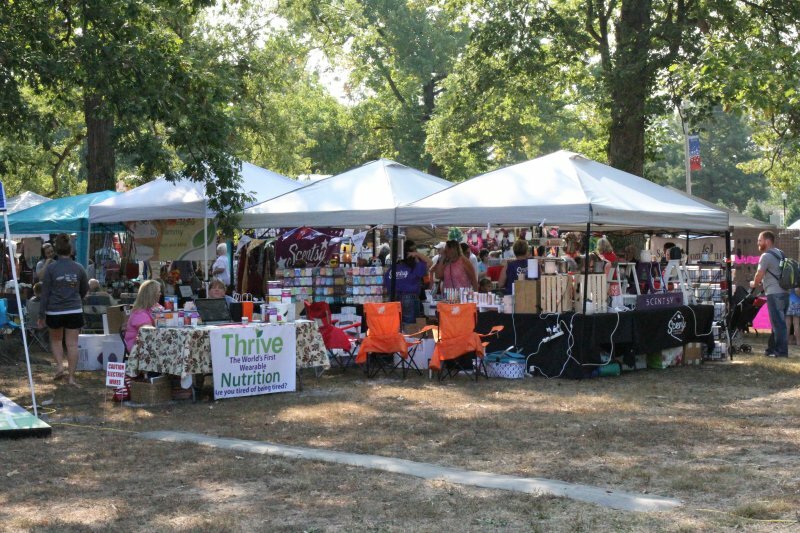 The 2017 Apple Fest in Bryan Memorial Park. The 2018 event is set from nine to four on Saturday. The Greater Salem Chamber of Commerce Apple Fest returns to Bryan Memorial Park on Saturday. Marlene Anderson of the Chamber says once again this year there will be lots of activities for adults and kids. Those who want to take part in the Apple Dessert Contest need to have their entries to shelter two by ten am. Entertainment this year includes Southern Elite and Tumble from 9 to 10 am, Studio 50 from 10 to 11 am, Herman Perry and the Gold Nuggets from 11 am to two pm and Jamie Nattier from two to four pm. Apple Fest runs from nine am to four pm.